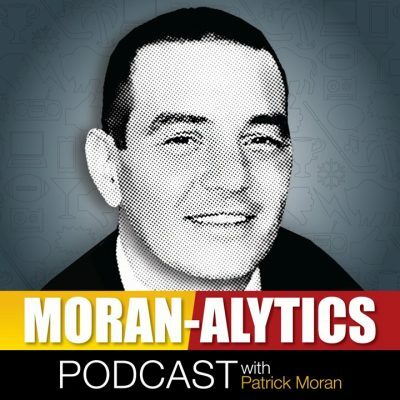 On this episode of the Moran-Alytics Podcast, Patrick Moran interviews Shelby Waddle, wife of new Buffalo Bills offensive tackle LaAdrian Waddle and becoming somewhat a Buffalo social media celebrity of her own. In the days since Waddle signed his one-year deal with the Bills, Shelby’s been heavily engaged with Bills fans on Twitter, demonstrating both her sense of humor and willingness to strike at trolls who take shots at her. It’s quickly made her a popular Twitter follow. Moran talks to Waddle about her growing up near Detroit, paying her own way through school and working as a manager for a company. Her “normal” life would change when striking up a relationship with LaAdrian, originally via Twitter (she “slid” into his DMs) and eventually in person. Although she admits neither can fully recall all the details of their courtship, she reveals one of the more memorable proposal tales you’ll ever hear. While the bulk of the conversation is light there’s serious subject matter involved as well, including late 2015 when their lives got flipped upside down after LaAdrian was cut from the Detroit Lions, exactly one year to the date of tearing his ACL. Of course, there’s always a silver lining and in this case Waddle was claimed by the New England Patriots within 48 hours of his release. Three full seasons, three Super Bowl appearances and two championship rings later things worked out for the best. Shelby discusses her personal feelings towards Tom Brady and close relationship that her and LaAdrain have with Rob Gronkowski, a Buffalo native hated by the majority of BillsMafia in part due to the dirty hit he inflicted on Tre White two years ago. Waddle says while she understands the feelings of Bills fans, she’s very much a fan of Gronk the human being and doesn’t concern herself with blow back because of her previous New England ties. They finish up with the Mini-Lightning Round, where among things we learn about Shelby is her rapping to Kid Rock’s “Cowboy” at her wedding and being a big fan of Toronto. You can follow Shelby on Twitter at @MrsWadd68. After that Moran is joined by his friend Joe (@BuffaloWins) for another installment of “The Run In With Joe.” Today the guys are analyzing Buffalo Bills and Sabres owner Terry Pegula’s press conference from Arizona earlier this week and share their feelings about whether the Bills should get a new stadium, where it should be located and if it should be domed. Patrick nearly loses his cool when the conversation turns to Sabres talk, visibly bitter at how ugly this season got under the watch of embattled head coach Phil Housley. The two also get semi-heated over Antonio Brown, excited about Game of Thrones and spend a little time talking WWE before Joe ends the segment with a take on the perception of Buffalonians.